Recent research conducted at the UBC School of Audiology and Speech Sciences shows that teething toys can affect a baby's auditory perception because the movement of a baby’s tongue plays a role in what sounds babies can distinguish between. 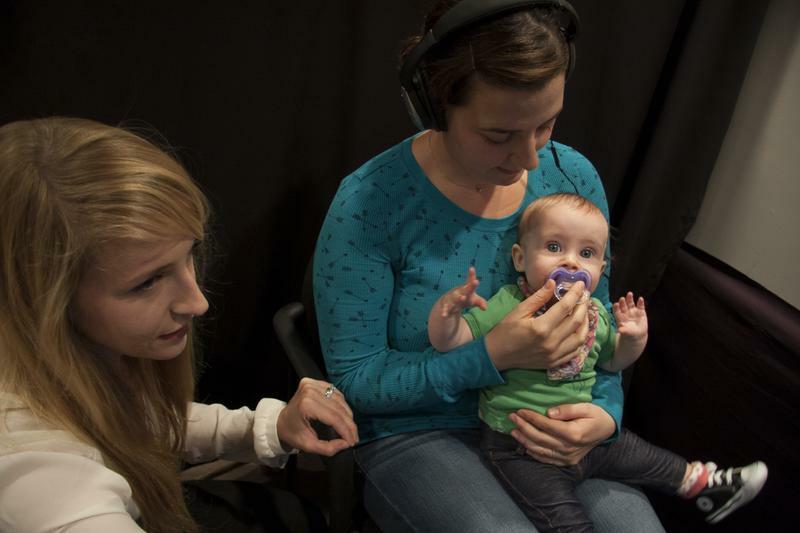 “There is a growing interest in the field of language acquisition and speech perception development — whether or not the movement of babies' articulators — ... actually play a role,” said Alison Bruderer, the post-doctoral fellow who lead the research.“Much of the research ... so far has focused primarily on the infant auditory experience ... What we are doing is seeing if there's other kinds of information available to babies ... to help them perceive speech." Researchers found that what the babies have in their mouths impacts what sounds they can perceive. Babies who begin to babble often carry different teething toys in their mouth and the research team tested these objects to see if there is an effect on the babies' development. They gave some babies toys that impeded tongue motion while others toys did not. "If we show them something new and exciting, that typically catches their attention for a longer period of time," explains Bruderer. In this research, babies did something that we as typical adults can’t. Bruderer used Hindi sounds in the experiment — consonant sounds that an English native speaker won’t able to distinguish, but baby from English-speaking families can. The researchers chose the two Hindi consonants of "d" because they differ in tongue placement. In the English language, there arent sounds that function in the same way. “This is taking advantage of fact that a baby under one year of age has ability to distinguish between these sounds. As we grow older, we become less sensitive to sounds not used in our native languages. We call this perceptual narrowing. As an adult English speakers like me, we cannot tell apart the two ‘d’ sounds in Hindi because the language that I am using does not contrast these two sounds in a meaningful way," said Bruderer. “There is still so much to be done. This is only like discovering the tip of an iceberg,” said Bruderer. She also suggested that the results of this research contributes to two future projects. One is to look at grown adults and the other is to look into infants with oral impairment and whether they are perceiving speeches differently.